what sort of donations should we be looking at paying? Where do we send the money? 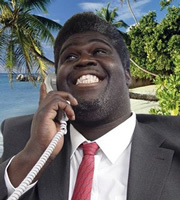 If he could put up the bank details so I could transferrings the moneyings? Is there a link or something in the "secret" club section or even in the forum somewhere? As regards funding for the club can we not set up an Easyfundraising account so that when people buy stuff off t'internet it raises funds for the club? Sort of self financing?? Nevermind, Monkey posted while I was typing. No-one said anything about any money???? Ooooh can I come out of the club now? Mine should be done in a few months.. As for donations, This site is invaluable! Will paypal some over when I'm at at pc next. Cheers. flat oot like a deuks fit!!! ok made a few people members. also its been a few years since i have paid for hosting , as the club donations are looked after but Duck on here. and they have been paying for hosting for some time now.